Media Create has published last week’s sales data (September 10 to 16, 2018) for the Japanese video game market today. 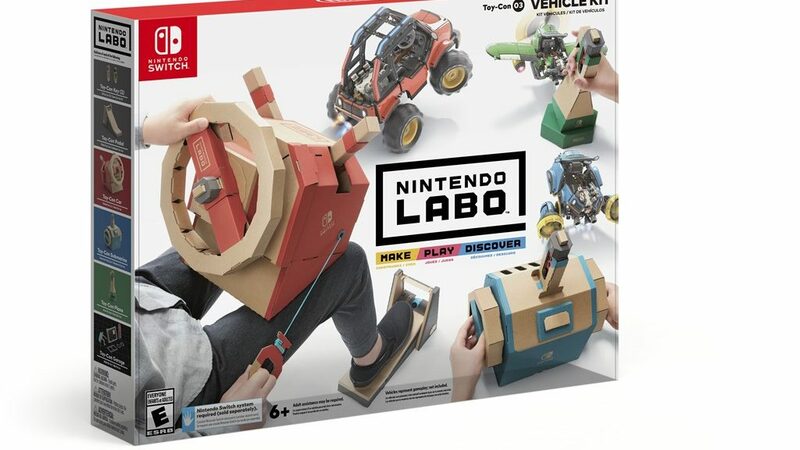 The third Nintendo Labo product, Nintendo Labo Vehicle Kit, debuted at No. 5 on the bestseller charts with 11,659 units moved. It’s a far cry from how Nintendo Labo Variety Kit and Robot Kit performed at launch this April – the Variety Kit sold 90,410 units while the Robot Kit moved 28,629 units. We speculate people may have gotten tired of Nintendo Labo, or the Vehicle Kit is not appealing. Another big Nintendo Switch release last week was Undertale, selling 5,990 copies at No. 10 on the bestseller charts. Splatoon 2 and Minecraft (No. 3, 14,094 and No. 4, 13,479) both continue to sell strongly. Nintendo Switch hardware sales have slowed down a little, having only sold 38,738 systems last week. However this seems to be an overall industry trend as the Switch maintained a 59.4% market share.